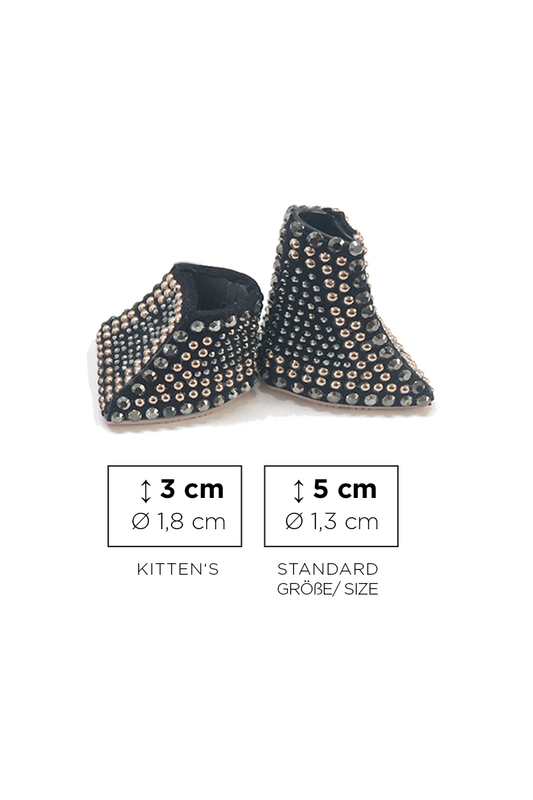 HEELBOPPS fit on ANY SPIKED HEEL up to 1.3cm diameter, (measured on 5cm height) no matter what shape, or on ANY HEEL up to 1.8cm diameter, (measured on 3-4cm height). HEELBOPPS are the first ATTACHABLE HEELS worldwide not changing the shoe’s silhouette , but making high-heels super comfortable! Alternative combinations of glitter foil and sole upon request.